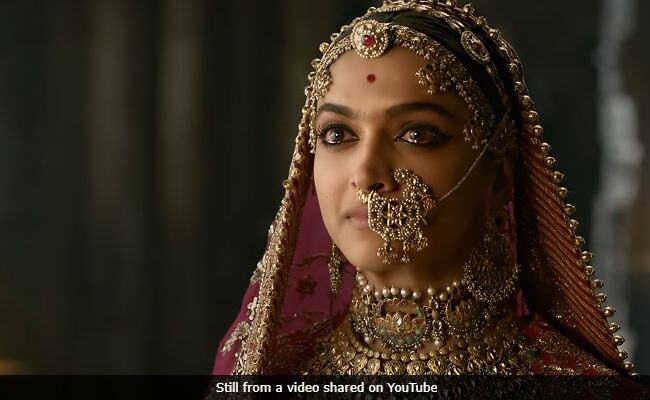 Padmavati's release may be facing stiff resistance from several Rajput communities but filmmaker Sanjay Leela Bhansali's film now has the support of five film associations, which hope for a smooth release of the film on December 1. Ashoke Pandit, who heads the Indian Film and Television Directors' Association (IFTDA), told news agency IANS that his association will lead an appeal to Information and Broadcasting Minister Smriti Irani and Home Minister Rajnath Singh to allow "freedom of expression for filmmakers." The appeal will also be on behalf of Cine and TV Artists Association (CINTAA), Western India Cinematographers Association (WICA), Screenwriters Association (SWA) and Association of Cine and Television Art Directors & Costume Designers. "Five bodies are coming together to make an appeal for freedom of expression for filmmakers. The industry is shocked and we are hurt that a filmmaker like Sanjay Leela Bhansali is being heckled and abused. Bhansali symbolises success of our film industry in many ways, and if he can be treated like this and harassed, things are not right," Ashoke Pandit told IANS. Mr Pandit was apparently referencing to an earlier incident in Jaipur, where the sets of Padmavati were vandalized and Mr Bhansali was manhandled by a group pf protestors. After the film's trailer and other promotional material was released on social media, several Rajput outfits alleged that Mr Bhansali has tampered with historical facts. But Mr Ashoke Pandit said: "Nobody has seen the film, yet people are making assumptions and attacking and abusing Bhansali. Similar controversy happened around Indu Sarkar. What will we do? We can't make films to suit everyone's ego. If someone doesn't want to watch the film, don't watch it. If someone doesn't want it to release, go to court." The Supreme Court also rejected a plea to stop the release of Padmavati. On Sunday, at a GQ event, Padmavati star Shahid Kapoor echoed Ashoke Pandit's words and said people should "give the film a chance." He said: "We have tried to keep everyone's feelings and interests in mind. We have tried to make film as best as we could. We will respect whatever people think of the film but you should see it first," reports PTI. Padmavati features Deepika Padukone in the titular role, Shahid Kapoor as her onscreen husband Maharawal Ratan Singh and Ranveer Singh as Alauddin Khilji.